Keratoconus, often abbreviated to “KC,” is a non-inflammatory eye condition in which the normally round, dome-shaped cornea is abnormally elastic and progressively thins and stretches causing a cone-like bulge to develop. This results in significant visual impairment. Keratoconus typically becomes noticeable in one’s 20s or 30s and becomes more severe with time. However, the severity of the disease and its progression vary tremendously from one individual to another. 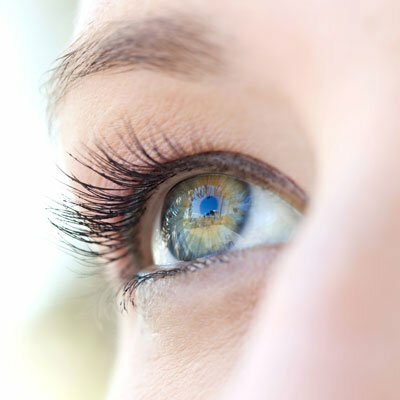 In some cases, the disease is barely noticeable, while in others it is so severe that vision is seriously compromised. As the cornea begins to stretch forward, the refractive power of the cornea increases, and the eye becomes more myopic (nearsighted), then as the corneal curvature becomes distorted and uneven, it may produce more of an astigmatism. The severity of the disease can vary from mild to severe with the most severe cases requiring a corneal transplant. Woolfson Eye Institute is proud to now offer corneal collagen cross-linking for the treatment of ectatic (corneal thinning) disorders. We are the only eye practice in Georgia offering this revolutionary new treatment, and one of only a handful in the country.